The mere names of Florida Keys and Key West conjure up pictures of Hemingway fighting giant Blue Marlin of yesteryears or an angler of today may visualize battling with behemoth Tarpon as they burst out from the water taking gigantic leaps. Ask any ardent angler to shortlist a few outstanding fishing destinations and Key West will grab the top position in the list and Key West fishing is worth it. No other place on the earth offers so many choices for recreational fishing as Key West. From the crystalline waters offshore to the abundant shipwrecks in the Gulf of Mexico and the Atlantic Ocean, there are hundreds of species roaming around, like Marlin, Tarpon, Sharks, Wahoo, Kingfish, Tuna, Dolphin, Sailfish and many others. At the other end of the fisherman’s spectrum are shallows, spanning endless remote fishing grounds. The legendary Key West “flats” are famous for the “Grey Ghost” Bonefish. Next to the flats is the breathtaking backcountry. While talking of “Back Country” one may refer to a kind of light tackle fishing or a spot where to fish close to Key West. With miles of distant, serene, protected waters, the fisherman can explore an expansive environment with no footprints. Here you get a chance to see the nature at its best, with plenty of marine life, flora and fauna, and sea birds! The shorelines of mangrove islands invite Snook and Redfish while the bays host Jacks, Pompano and Sea Trout. The natural deeper channels which traverse across the backcountry offer a refuge to Cobia, Grouper, Tarpon and Snapper while Sharks and Barracuda patrol the shallows where they get a palatable intensity of life. Reading this description, those who are not expert fishermen, may be disappointed that they don’t know the skill, but they need not! 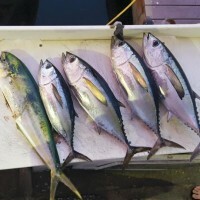 Key West offers a number of fishing charters and party fishing vessels where you can have one of the finest times of your life though you are not an expert angler. You can book a small boat if you have a small group and enjoy fishing and diving adventure or an all-day trip if you have a large group, or even night fishing in summer. So, whether you are an pro fisherman or not, you are going to enjoy here. Whether you are a sportsperson, an adventurer or a naturalist, Key West is going to offer you a lot of your choice and you will remember the fishing here for a lifetime.